Netgear N150 and N300 is a SOHO Wi-Fi router for indoor use. Its provide the wide range of indoor Wireless product such as Wi-Fi Routers, indoor Switches, Wi-Fi repeaters, Enterprises Wi-Fi Router, Enterprises Wi-Fi controller, Enterprises Switch and Network Accessories solution. This post basically describe a configuration manual for many Netgear Wi-Fi router model which comes with same Web interfaces, This Post will help you if you have one of the model of Netgear N300 WiFi indoor router from below list. Netgear WNR614 N300 Wireless Router Setup and Configuration also support for below models. Popular Post :How to Connect Any Wi-Fi without Password from Mobile? Netgear N150 and N300 Wireless Router connection Setup Diagram. This Diagram belongs to all Wi-Fi routers to connect with internet. You can use this diagram for any brand Wi-Fi router connection setup. In this post, this diagram helps you to connect your Netgear WNR614 N300 Wi-Fi router with your internet service provider and configuration for your home and office. Connect your Netgear Router WAN port to your Modem or internet cable coming from your service provider. Out of 1-4 LAN port connects to your Laptop or Desktop. Make sure you have connected Power Adapter comes with Netgear Wi-Fi router box. After proper connection of your Wi-Fi router, you can proceed to configuration part. 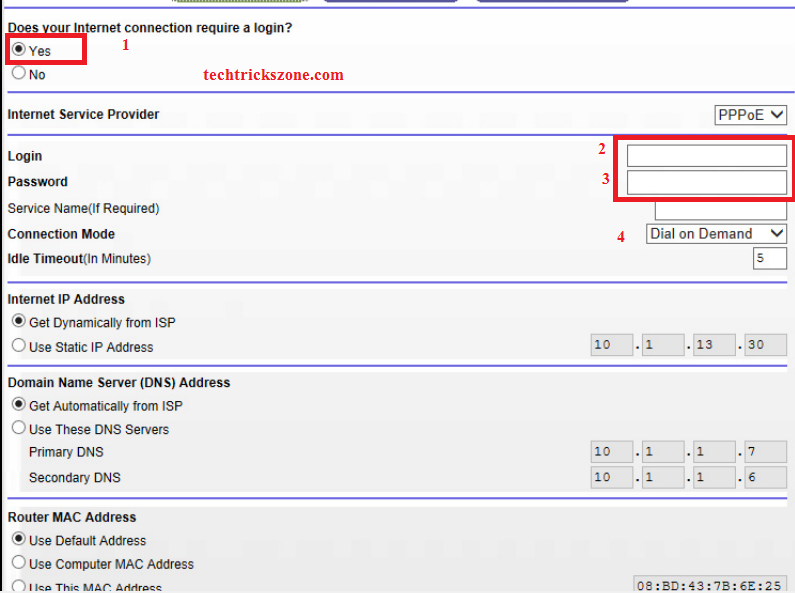 Netgear WNR614 N300 Wi-Fi router Default Login Settings. If you are going to configure your fresh new Wi-Fi router then you can also find Default setting backside of your Wi-Fi router. If you are going to reconfigure your old Netgear N300 Wi-Fi router then this post will help you to get Netgear Default Settings to access your Wi-Fi router. Before Open this URL to browser make sure your PC/Laptop LAN settings in DHCP mode.you can get DHCP configuration manual here “How to make Laptop LAN in DHCP mode”. Launch browser and open default Netgear router (http://www.routerlogin.net or http://www.routerlogin.com ) use default login username and password as given above steps. Netgear WNR614 Wi-Fi router configuration in Manual Mode. 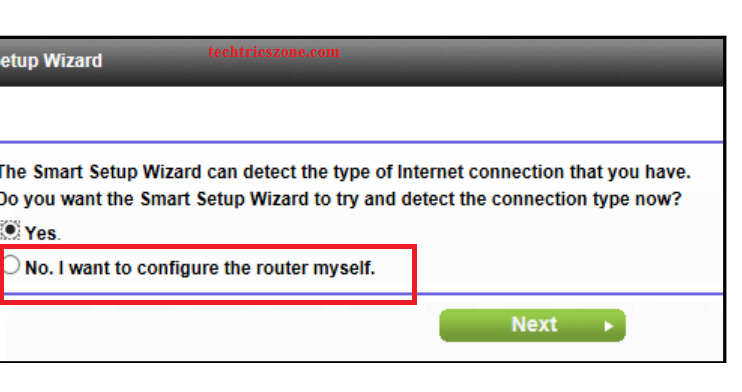 After login your Netgear router you must choose the option No, I want to configure the router myself. After choosing this option you can configure your router directly from router option. Click Next you will directly go to the Basic page. Before Proceeding to WAN configuration make sure your internet service type. I mean your internet work on Static IP or required PPPoE login to start the internet. 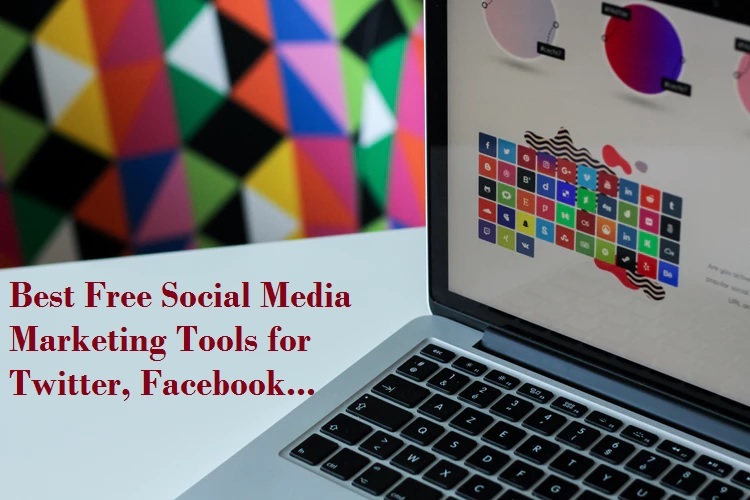 You can contact your internet service provider to get your internet type details and information about username and password. If your internet types Static then get all IP address Gateway and DNS information from ISP. If your internet required username password then sees the Netgear WNR614 Wi-Fi router PPPoE configuration. 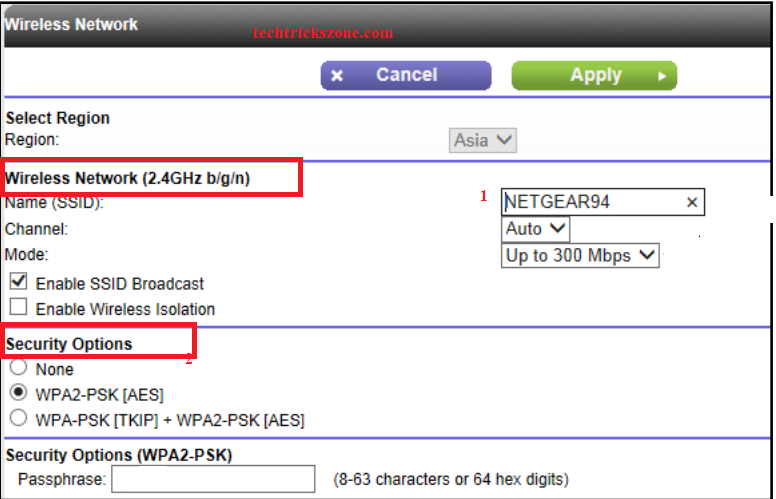 Netgear WNR614 Wi-Fi router WAN configuration in Static IP address. This option work for you if your internet service works on static IP address without using any username and password to dial your connection. You need Static IP address, Subnet mask, Default gateway and DNS information to configure in this option. If you have all details then follow to option given below to configure your Wi-Fi router in Static mode. 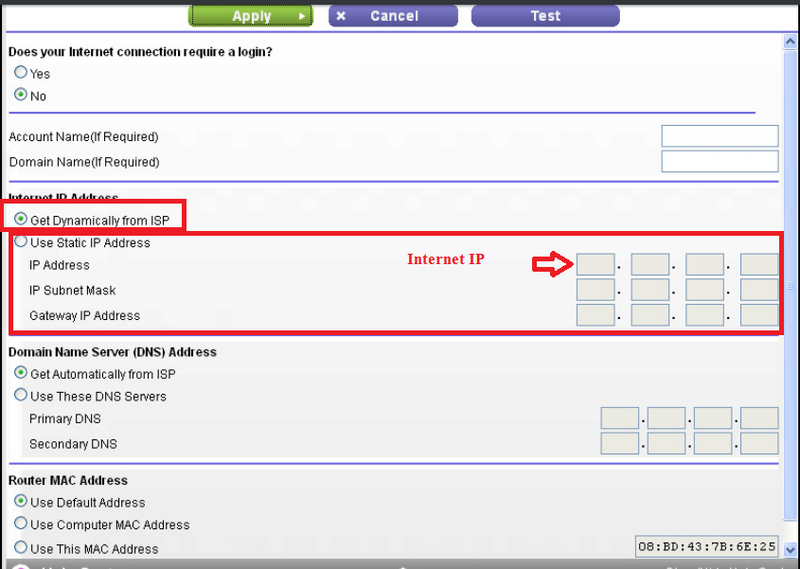 Use Static IP Address: Choose this option if you want to configure in Static mode. Gateway: this will also provide by your ISP. Domain Nameserver (DNS) Address: if you get DNS information from your ISP the use second option. Use these DNS servers, If you didn’t get from ISP you can choose the first option Get Automatically from ISP. Netgear WNR614 N300 Wi-Fi router WAN configuration in PPPoE Mode. This option for only if your internet require dial-up(PPPoE) connection to establish your internet. Please confirm from your service provider for your username and password if you don’t know about it. After getting username and password follow the given step to configure your Netgear router in PPPoE mode. Connection Mode: click Auto Dial for always dial. Ideal Timeout: you can increase this time for dialing auto disconnect on ideal mode. Netgear Wi-Fi router LAN and DHCP server Configuration guide. To Avoiding un-authorize access of your Netgear Wi-Fi routers its recommended to change the default IP Address. Any router default Settings details can get from the internet so make your Wi-Fi network secure you must change your Wi-Fi router Default IP address to increase one steps of the security layer. 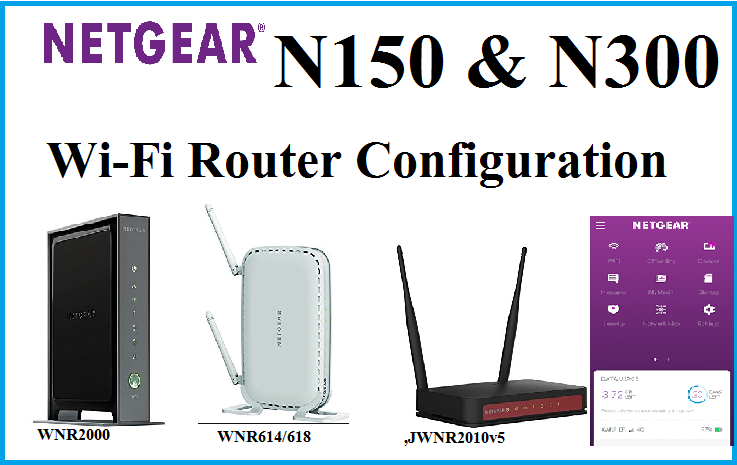 These Steps will guide you how to change Netgear 150N and 300N Wi-Fi router LAN IP Address. Device Name: you can change your Router Name in this box. LAN TCP/IP Setup: This option will contain LAN information. IP Address: 192.168.1.1 (change this Default IP to other IP of your choice) after changing this IP address you can access your Wi-Fi router with new IP Address you have changed. Use Router As DHCP Server: This Option for DHCP server Enable and Disable in Netgear Router. Starting IP Address: user starts IP address in this box. (This IP will be starting IP providing by DHCP server to the user. Ending IP Address: This IP will be last of providing by DHCP server. If you have the user in your home 1-5 or 1-10 then you can use start IP 192.168.1.2 and ending IP 192.168.1.11 this option will also protect your Wi-Fi Network to get IP Address from an unknown user if they know your password. 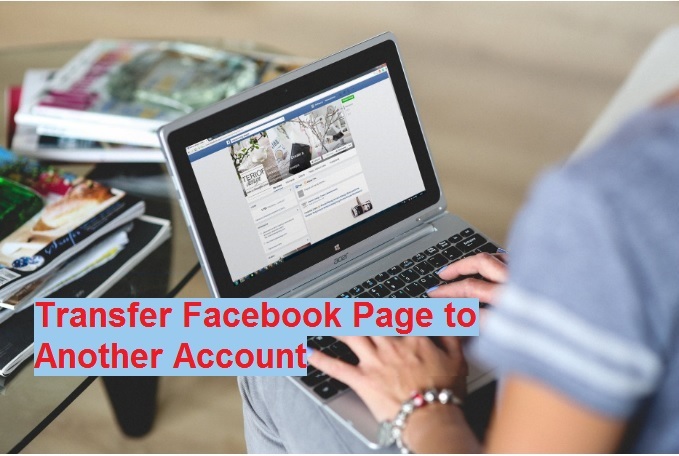 This option we can assign the total number of user for internet use in home and office. Netgear WNR614 300N Wi-Fi Router Wireless Configuration Guide. This option is the most important part of configuration any Wi-Fi routers, because if Wireless configuration will weak then it can be risky for our internet and network to access from hackers. This part will contain all information about Wi-Fi security, Wi-Fi name, Wireless broadcasting settings, channel settings, and speed settings. Wireless Network (2.4GHz b/g/n): This option contains details about Wi-Fi Network Name(SSID) Channel and Broadcast settings. 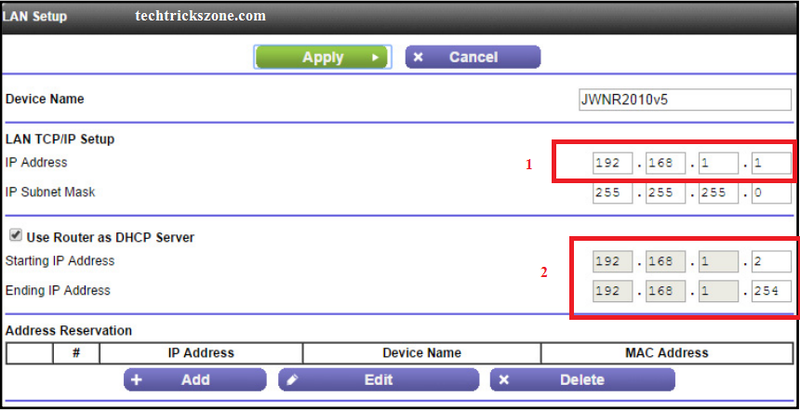 Channel: Keep it Auto if using only one router set 1,6,11 channel if using more than 1 Wi-Fi router in the same place. Mode: Enable SSID Broadcast should Tick if it will not tick then your Wi-Fi network will be hidden. 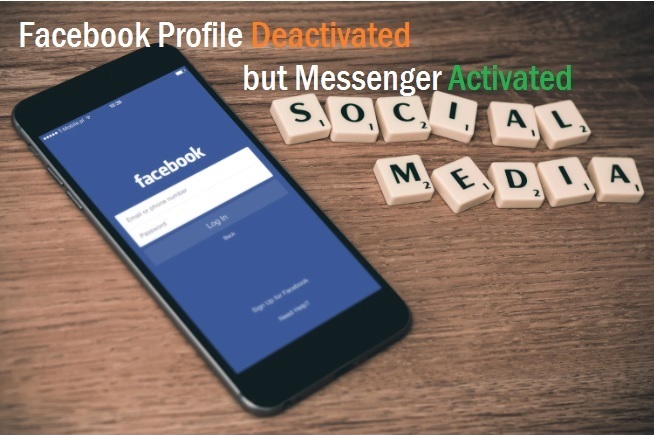 Enable Client Isolation: This option will help you to communicate two users connect in same Wi-Fi router will disallow to access each other data. Security Option: This is the very important setting for any router because this security will help our router to protect from hackers. WPA2PSK (AES): This security type support for AES key method. WPA-PSK (TKIP) +WPA2PSK (AES): this security support both AES and TKIP key method so these Security types highly recommended to protect Wi-Fi Network. Use this option and type your Wi-Fi password in the box (use special character Alfa numeric to make the secured password). I hope this tutorial helps you for Netgear WNR614 N300 Wireless Router Setup and Configuration first time and also for old router. 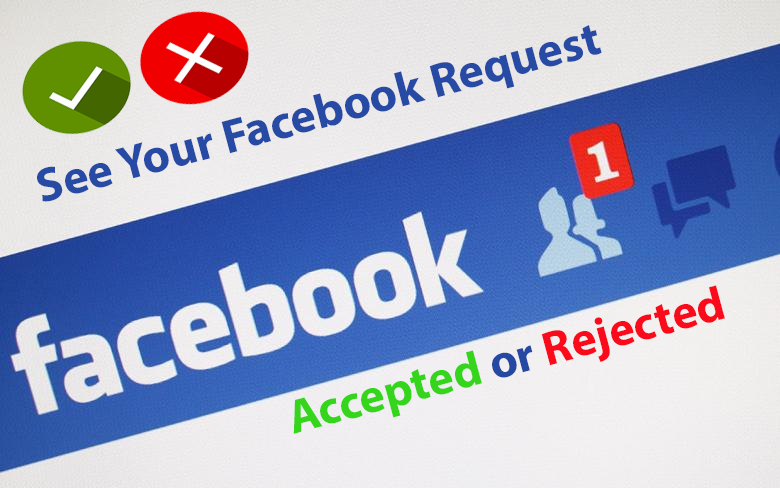 if you are facing any type of problem please comments or email from contact us page. I will try to reply you within 24 hours. Totally interesting and extraordinary post about Netgear wireless router setup and configuration guide.you convey the impression as if you have an implausible knowledge of it.Great job.